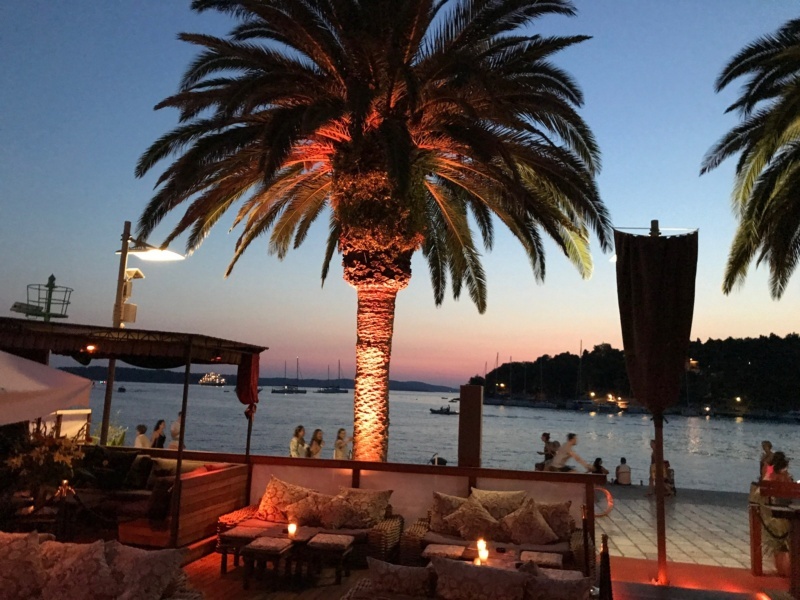 Whilst in Split we had decided for George’s birthday celebrations it would be good to island hop to a neighbouring island for the night. There is so many it’s hard to choose. 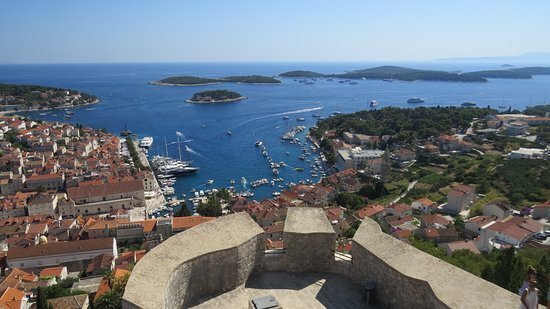 In the end we lacked time and decided on Hvar the closest. 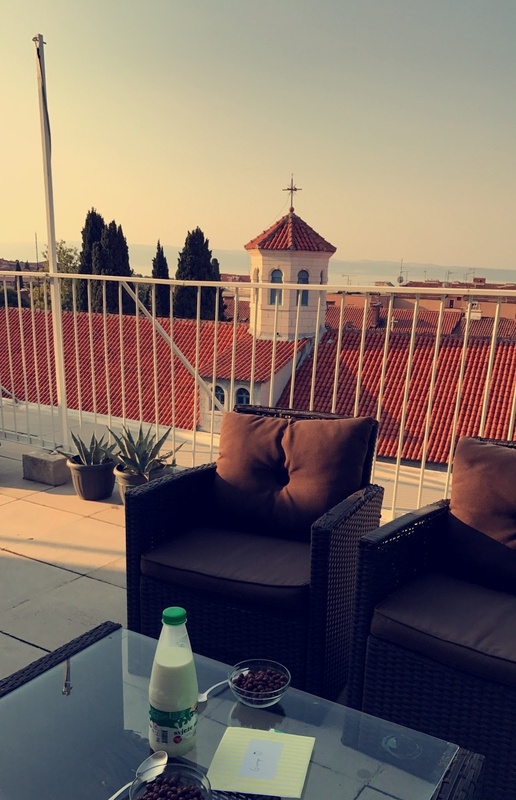 So on the morning of George’s birthday we woke up in Split, had our breakfast on our cute balcony. We had been staying in a lovely rooftop Air B&B close to the Port deal for our early start. We had a ferry or ‘Catamaran’ (for pedestrians) booked at 9:15, and had to be there 30 minutes before. 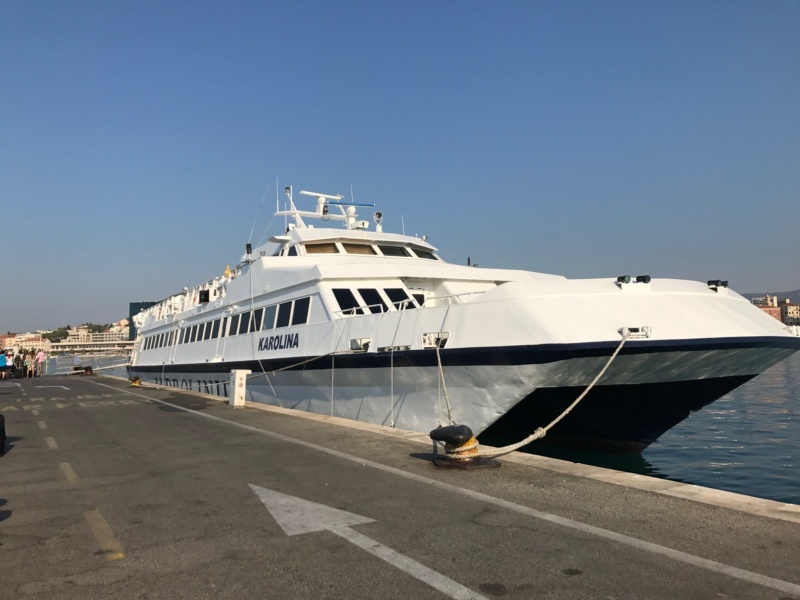 The Catamaran took an hour to arrive at the island just off Split. 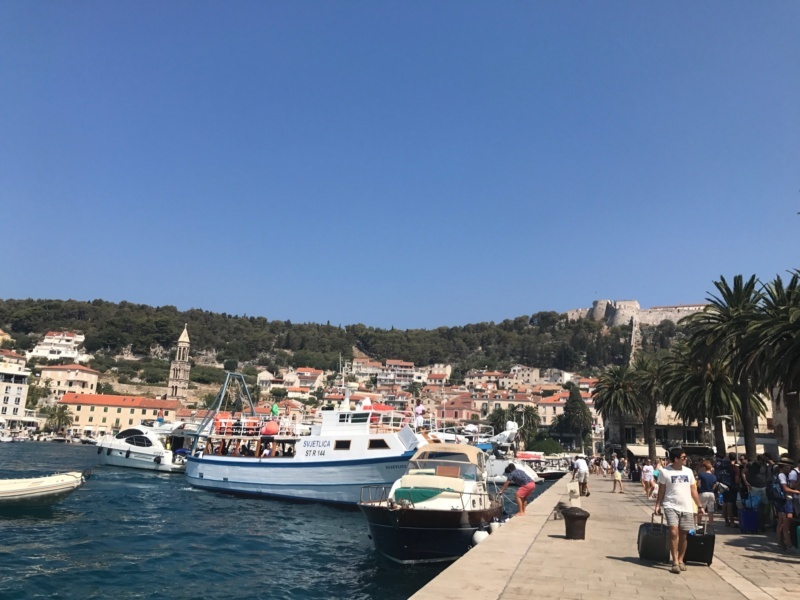 After a smooth boat ride over to the island, we arrived in pretty Hvar into the busy port. 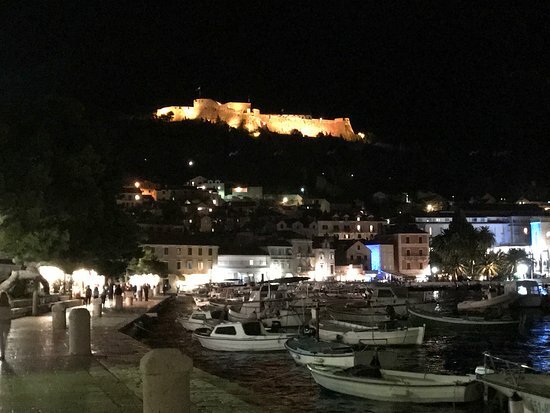 We had been told the night previously that hvar was very busy and over priced due to the clientele that arrive via yacht. Only one way to find out.. So far on our trip we had stayed in Air B&B apartments for the first time. I had been really surprised how much I had enjoyed them to pared they on hotels. Locating our Air B&B was out of Hvar town, being new to the island we took the long way and followed maps. Our apartment was lovely and possibly our best yet. It was a huge two bedroom apartment, with two bathrooms a big balcony it was ideal and we would have loved to have stayed longer. 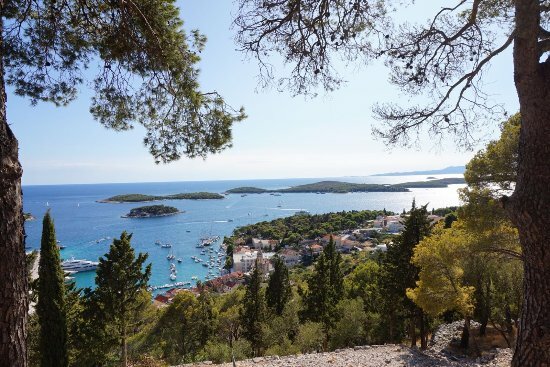 Only a short walk to Hvar town past a picturesque small harbour. It also had a fab view..
We asked our host about things to do on the island. One of the best ways to find out what to do in a new area. 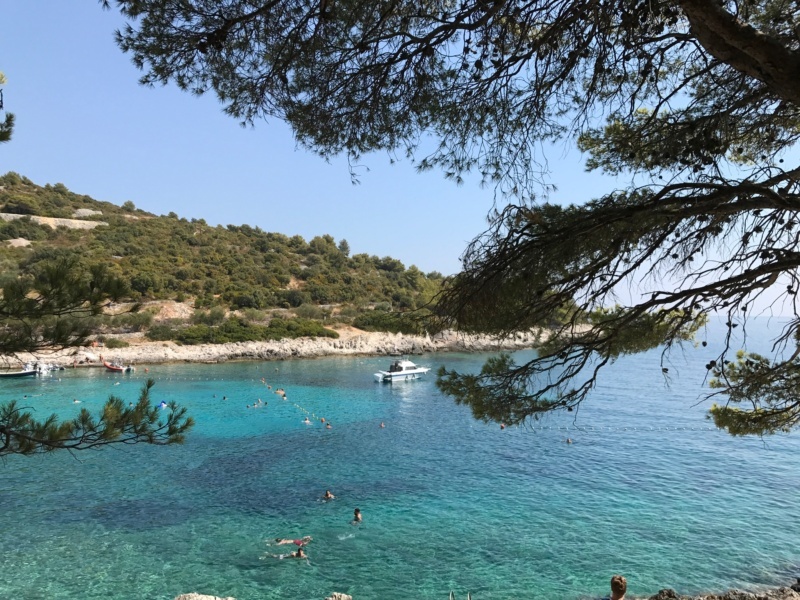 As we were only there for the day and she advised us on some nicer beaches not far from us but away from Hvar Town. 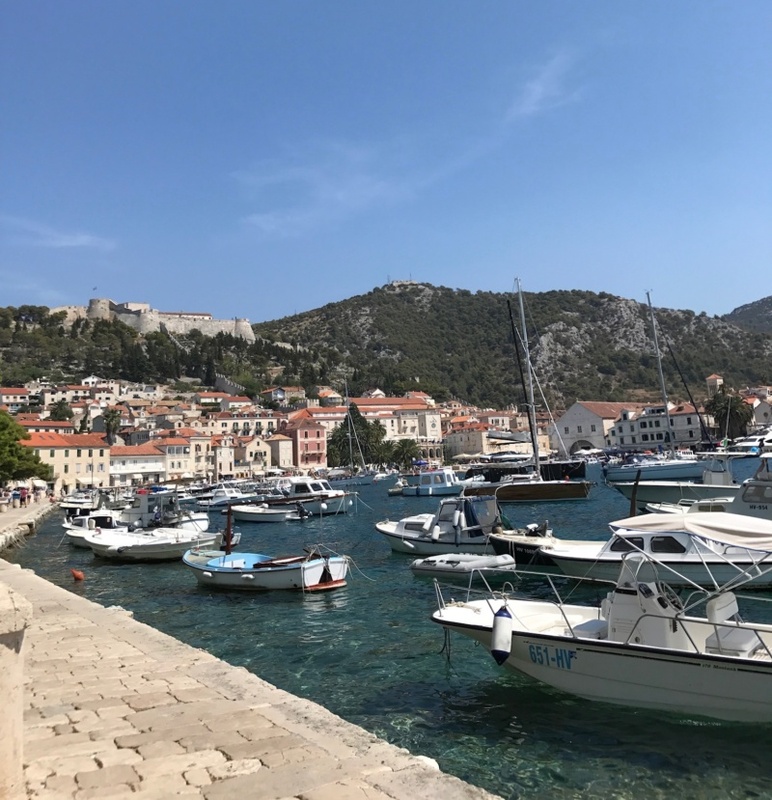 We walked to Hvar Town and wandered the streets in the sun having a nosy at the harbour. 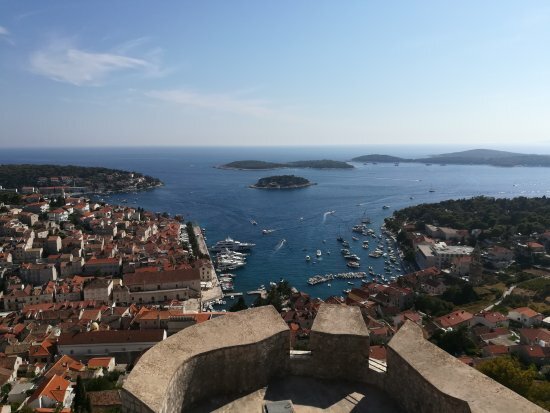 While it was will cool before the midday heat we strolled up to Hvar’s fortress or castle which takes about 15/20 minutes. 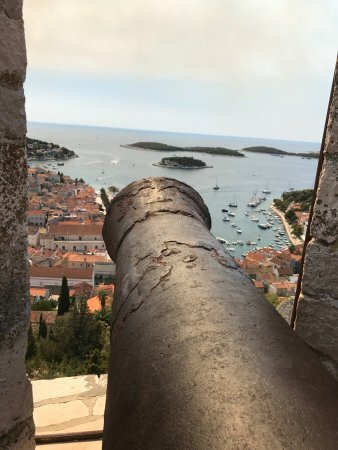 Once up at the fortress there isn’t a great deal to do other than watch the boats coming in and out of the harbour and soaking in the view of the Pakleni Islands. There are fantastic panoramic views from the top. We had lunch in a little place near the market square before heading back to the beach near us. 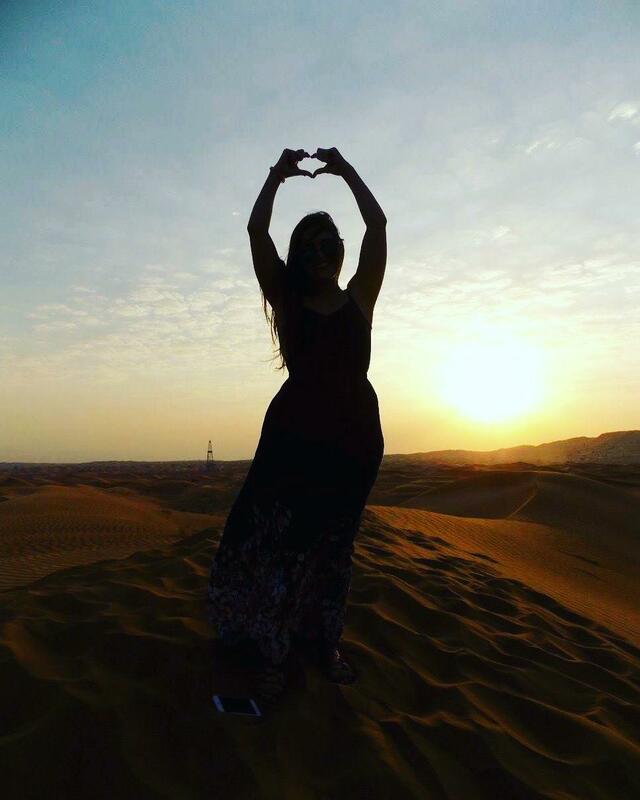 Pokonji dol beach took our breath away! Always a perk of asking locals where to go. The water was crystal clear with a small beach area and rocks lining the cove were we decided to pitch up for the afternoon! 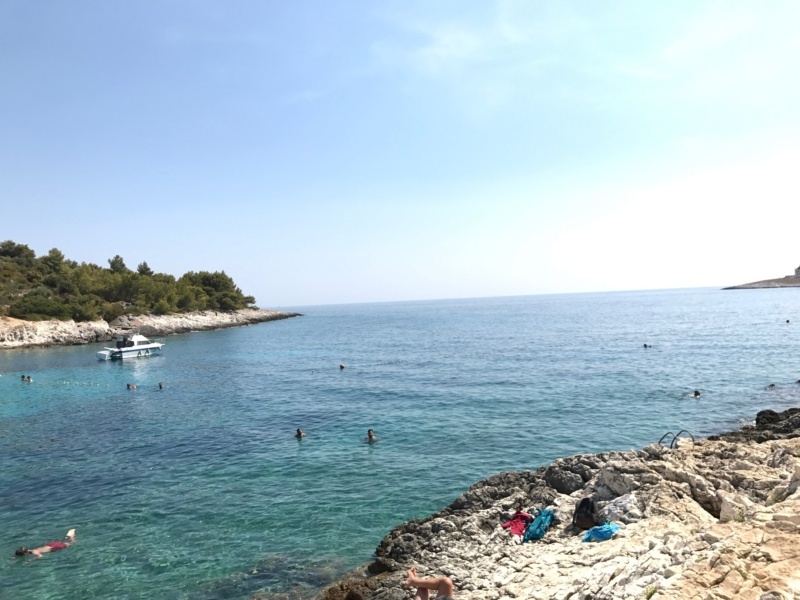 This was my favourite afternoon in Croatia, enjoying the sun with a drink in hand and swimming and napping whenever we wanted. 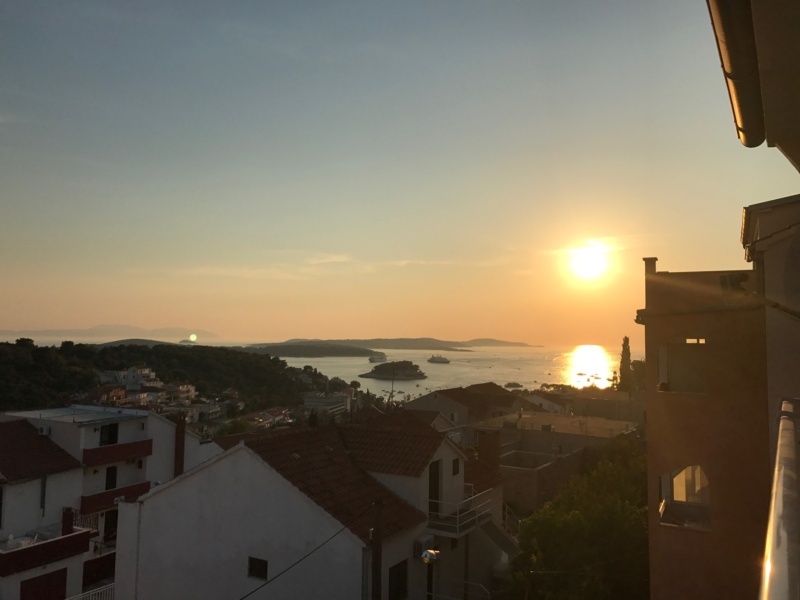 We bought fresh ingredients from a local market and cooked tea at the apartment to try and make the most of our time there before heading out into hvar town for the night. Sunset from the balcony was incredible, there was a little bay close by and the sun and colours in the sky photos did not do justice. Drinks at Carpe Diem Bar early on as the sun was still setting. This is a cool bar with some more expensive drinks, there is a shuttle just outside to get to carpe diem island. A renound party island for people partying until the sun comes up. Making our way around the harbour we had a few gins at Aloha bar for 50kuna gins! 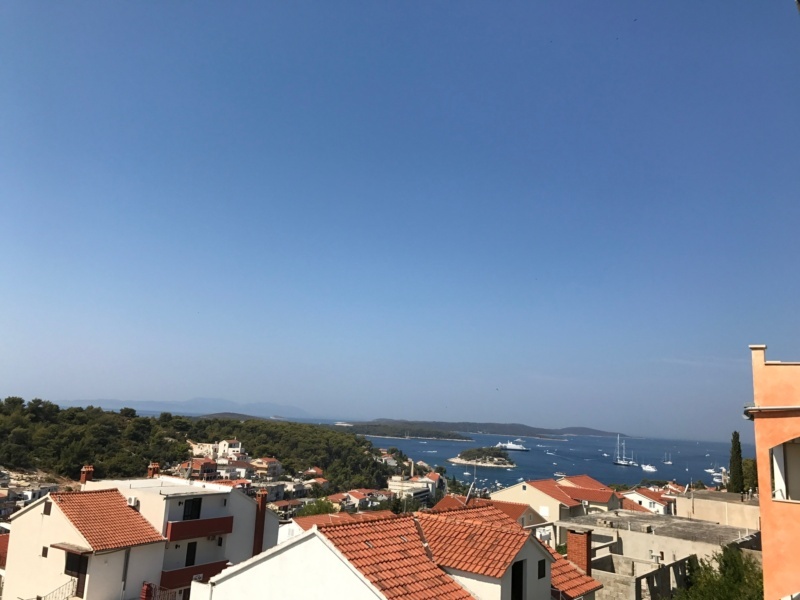 In Hvar and croatia this is a steal! All day we had been meaning to go to hula hula a well known bar on the island. 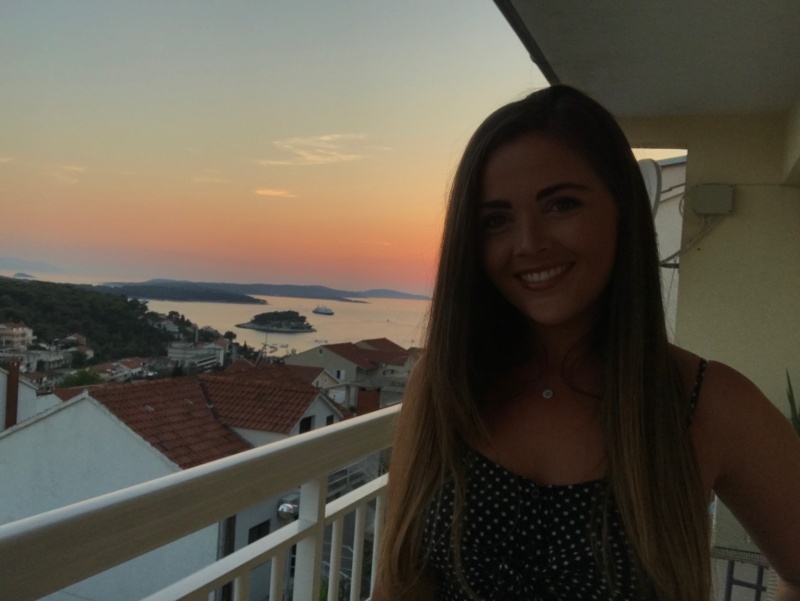 Which is meant to have one off the best sunsets on the island as well as the best parties until the sun goes down! Our last drink was from a little bar surround by greenery when we ordered mojitos the mint came from the little garden. The next morning we had booked an earlyish ferry to get back to Split for a reasonable time to still enjoy our last day in this region before moving on to Bosnia and Herzegovina. 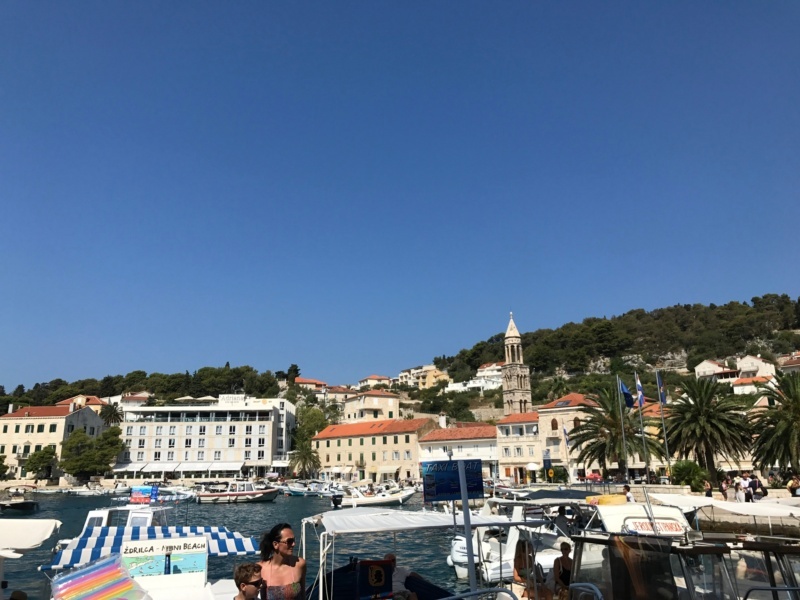 We had a good time in Hvar, there were so many islands I wanted to visit around Split. I have wondered if island hopping to many different islands may have been better. 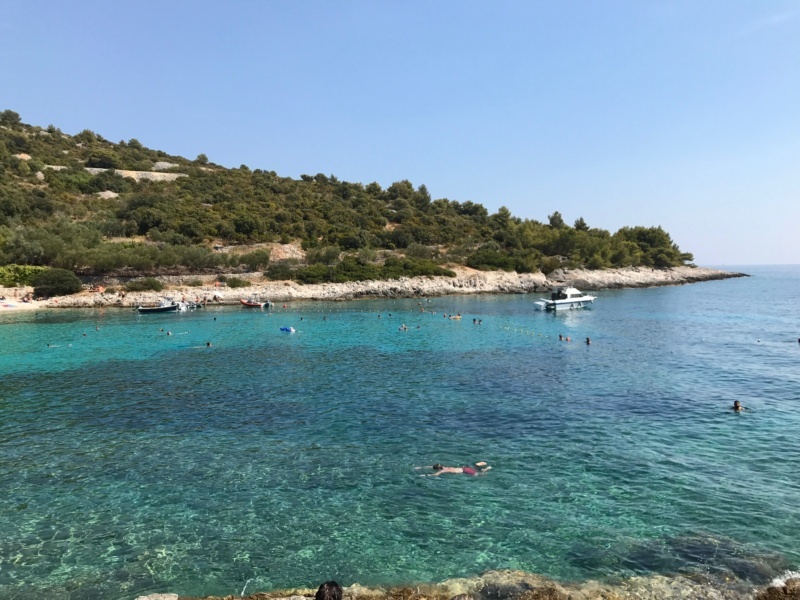 We had a full day to explore the island and we found the clearest sea and had the best afternoon. 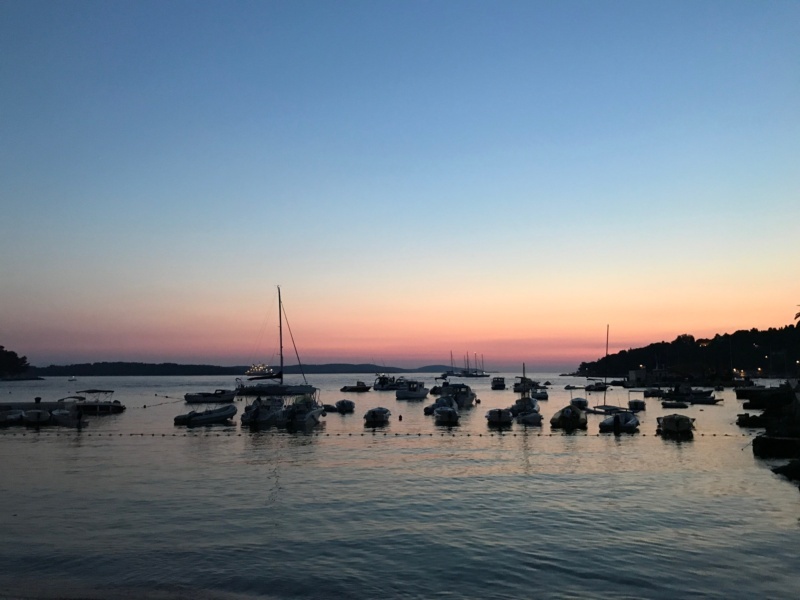 Keep your eyes peeled for the next post of the series – Hvar, Croatia for island hopping, more beaches and much more.